Mississippi's governor is seeking a federal emergency declaration from President Donald Trump as FEMA arrives in the state to assess storm damage. State and city officials are assessing the damage from Saturday's early morning tornado and seeking federal dollars. Hattiesburg Mayor Johnny DuPree. "I've actually toured the area last night with Senator Cochran's regional director and we're making request for other things we need such as generators or temporary housing," said Dupree. 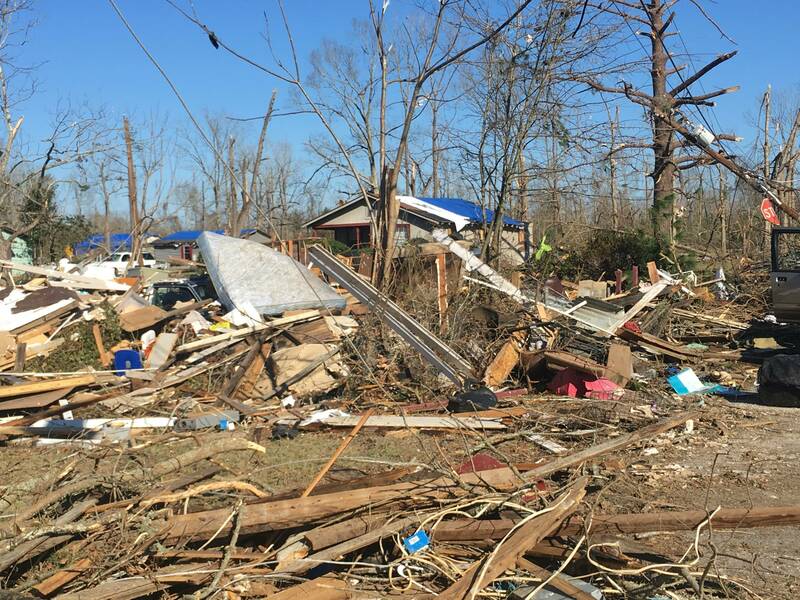 At a news conference Governor Phil Bryant said of the 1,100 homes damaged in Forrest County alone, 239 were completely destroyed. The governor says he's spoken with Homeland Security Secretary John Kelly who offered condolences on behalf of the four people killed. "He pledged the Department of Homeland Security and FEMA will be working with all due diligence and making sure that the support from the United States federal government will be forthcoming," said Bryant. Bryant says he's sending a letter to the president requesting federal aid. Mississippi Emergency Management Director Lee Smithson says FEMA teams are coming in from Atlanta today to assess the damage. He says the affected areas in Forrest, Lamar, Perry, Marion and Lauderdale Counties qualifies the state for federal aid and assistance for residents. Smithson also says he'll have to dip into MEMA's Disaster Trust Fund. "Today I've authorized over $288,000 out of the Disaster Trust Fund. That money is in the Disaster Trust Fund. So we are not going to go into a deficit appropriation at this point," said Smithson. Smithson says if the president approves the federal disaster declaration, the Disaster Trust Fund won't be an issue. The National guard is in the affected areas to provide security.